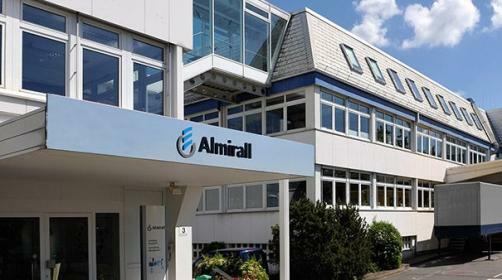 Hot on the heels of the European Academy of Dermatology and Venereology Congress (EADV) 2018 where psoriasis took centre stage, Almirall has announced that the European Commission has approved its interleukin-23 (IL-23) inhibitor Ilumetri (tildrakizumab) for the treatment of moderate-to-severe chronic plaque psoriasis in adults who are candidates for systemic therapy. The drug is a humanised high-affinity anti-IL-23p19 monoclonal antibody, delivered via subcutaneous injection every three months. Findings from a pair of Phase 3 studies investigating more than 1,800 patients were revealed at EADV, confirming that 63% of Ilumetri patients on average achieved 75% of skin clearance by week 12, as measured on the Psoriasis Area Sensitvity Index (PASI); this figure increased to 78% on average after three doses at week 28. Additionally, 59% on average went on to achieve a PASI score of 90 and 30% reached a score of 100 on average over the same period. A year later, 92% of patients who responded within 28 weeks had maintained a PASI score of 75. CEO Peter Guenter commented: “We are proud of the EC’s approval for ILUMETRI®, as it constitutes a new therapeutic option for European healthcare professionals and patients with moderate-to-severe chronic plaque psoriasis. Ilumetri is a safe, easy to administer, targeted IL-23p19 inhibitor that provides durable efficacy and long-term safety, this marks a very important milestone for Almirall in the medical dermatology area, specifically in the biological drugs market”. Rollout of the product in Europe is set to commence in the coming weeks, with Germany being the first market it is to hit.